Direct mail success can happen to everyone. The good news, though, is that you can be part of the statistics through a clear, thoughtful strategy starting with a targeted mailing list – including knowing and using demographics by zip code, age, gender, work and level of seniority, and many other useful potential customer data to help you with your success. As for your direct mail marketing sales letters, you can leverage your efforts in different ways. 1. Use a strong headline at the top of your sales letter. State here the most important and life-changing benefit you are offering. Showcase this headline in bold format, a larger font size than the one used in the body text, and with a convincing yet sincere tone. 2. Use a friendly conversational tone in your letter. When writing, do not make this big blunder: using “corporate speak,” where you use big words and try to only impress how you wield the English language. Express your intentions, don’t just show off how much of a big deal you are. To avoid turning your prospects off, write your direct mail marketing letter as if talking to a very good friend whose best interests you have at heart. 3. This is a good direct mail strategy to use. The P.S. section to restate the most powerful benefit of your product or service. The P. S. part will most likely be read by most people, so take advantage of this by putting in this area a highly effective sales message and, of course, call-to-action (CTA). 4. Harp on the benefits, not just the features. Your sales letter needs to be clear about the benefits to your potential customers, including the answer to the question floating in the reader’s mind: What’s in it for me? Going by your demographics data, your offerings (both paid and free) should be tailored to the needs of your target. Those who are in senior positions in their jobs, for instance, will appreciate educational reports or eBooks that can enrich their knowledge. 5. Your potential customer should be encouraged to TAKING ACTION. Tell him or her to visit your site, complete an order form, mail a check, or get in touch with you for more information. There’s a great likelihood that they won’t take action if they’re not told to. 6. Use standard white business envelope for direct mail advertising. Handwrite the recipient’s name and address on it, if possible. Do You want to know why? It’s because mailing labels have almost been tantamount to junk mail, and you wouldn’t want your sales letter to be mistaken as this! This is to succeed in your first goal, which is for your direct mail to get opened. 7. Include a free gift, no matter how small and inexpensive it is. Make sure this gift is something that your potential customer will keep and find the use of, for instance, a top-quality bookmark, or information on free report downloads on the Web. This gift should have your company information on it for better recall and position to get better direct mail response rates. 8. Employ repetition. 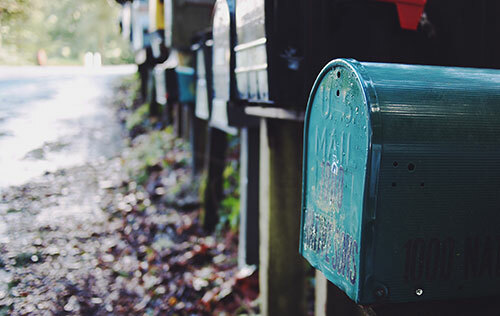 Enhance your direct mail efforts by contacting your prospects, not with a single mailing, but with about three to six correspondences in a given year. Just make sure that your message remains relevant to them every time, emphasizing how a relationship with your company can benefit them. Of course, better key decisions can be made for direct mail marketing with tools like zip code demographics, which will give you insight on your contacts’ neighborhoods and the ethnic or socioeconomic makeup of your customer base. Author bio: Sheila Dillon, a marketing professional armed with more than 10 years of experience in direct mail advertising for several multinational companies, recommends the use of demographics by zip code services. She conducts training and seminars to transfer her pearls of wisdom to the younger breed of marketing practitioners in Chicago, IL. Why Does Your Business Need an SEO Audit? https://hfbadvertising.com/wp-content/uploads/2016/01/seo-challenge.png 422 640 HFB Advertising http://hfbadvertising.com/wp-content/uploads/2016/06/hfb-advertising-design-logo-header-1-300x138.png HFB Advertising2017-10-30 09:45:072019-03-13 10:50:28Why Does Your Business Need an SEO Audit? Advertising Sponsored Ads Worth it on LinkedIn? https://hfbadvertising.com/wp-content/uploads/2016/02/linkedin.jpg 452 640 HFB Advertising http://hfbadvertising.com/wp-content/uploads/2016/06/hfb-advertising-design-logo-header-1-300x138.png HFB Advertising2017-10-10 10:00:312017-12-07 10:23:14Advertising Sponsored Ads Worth it on LinkedIn? https://hfbadvertising.com/wp-content/uploads/2016/11/what-is-seo.jpg 200 300 HFB Advertising http://hfbadvertising.com/wp-content/uploads/2016/06/hfb-advertising-design-logo-header-1-300x138.png HFB Advertising2017-09-20 10:00:392019-03-13 10:50:27What Is SEO? Advertising Agency Is Important For Businesses Success. See Why? https://hfbadvertising.com/wp-content/uploads/2017/01/advertising-agency.jpg 200 300 HFB Advertising http://hfbadvertising.com/wp-content/uploads/2016/06/hfb-advertising-design-logo-header-1-300x138.png HFB Advertising2017-09-07 12:00:392018-01-24 12:09:26Advertising Agency Is Important For Businesses Success. See Why? Graphic Design Retainer: Does It Make Sense For Your Business? https://hfbadvertising.com/wp-content/uploads/2014/12/graphic-design-retainer.jpg 146 144 HFB Advertising http://hfbadvertising.com/wp-content/uploads/2016/06/hfb-advertising-design-logo-header-1-300x138.png HFB Advertising2017-03-08 12:00:422017-09-05 09:31:47Graphic Design Retainer: Does It Make Sense For Your Business? Why you need monthly SEO services for your business? https://hfbadvertising.com/wp-content/uploads/2014/05/why-you-need-monthly-seo-services-for-your-business.jpg 333 500 HFB Advertising http://hfbadvertising.com/wp-content/uploads/2016/06/hfb-advertising-design-logo-header-1-300x138.png HFB Advertising2014-05-05 12:08:582017-12-13 10:47:22Why you need monthly SEO services for your business? Vehicle Wraps: How It can Increase Sales for Small Businesses? http://hfbadvertising.com/wp-content/uploads/2016/06/hfb-advertising-design-logo-header-1-300x138.png 0 0 HFB Advertising http://hfbadvertising.com/wp-content/uploads/2016/06/hfb-advertising-design-logo-header-1-300x138.png HFB Advertising2014-01-09 03:00:442019-01-08 12:51:05Vehicle Wraps: How It can Increase Sales for Small Businesses? Why is a Professional Website Important? http://hfbadvertising.com/wp-content/uploads/2016/06/hfb-advertising-design-logo-header-1-300x138.png 0 0 HFB Advertising http://hfbadvertising.com/wp-content/uploads/2016/06/hfb-advertising-design-logo-header-1-300x138.png HFB Advertising2013-12-24 01:00:372019-03-13 11:51:01Why is a Professional Website Important?